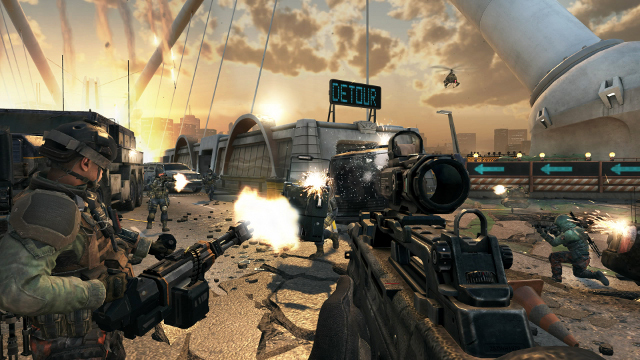 PS3 and PC gamers will be getting the Vengeance Map Pack for Call of Duty: Black Ops 2 next month. Publisher Activision has announced an August 1st launch for the content. The map pack previously hit the Xbox 360 at the beginning of July. Vengeance shores up Black Ops 2's multiplayer with four competitive maps. Cove takes place on a desert island in the Indian Ocean. Players will fight in and around the wreckage of a smuggling jet. 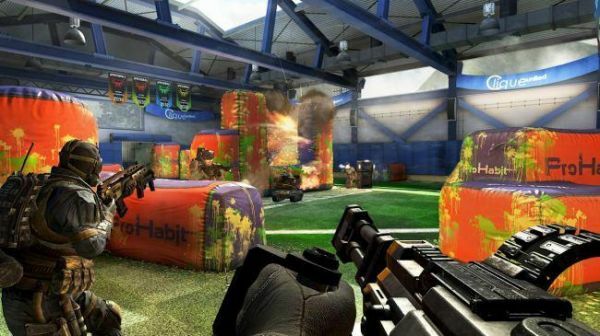 Rush is the token close-quarters map in the bunch, putting players in the middle of a paintball course. 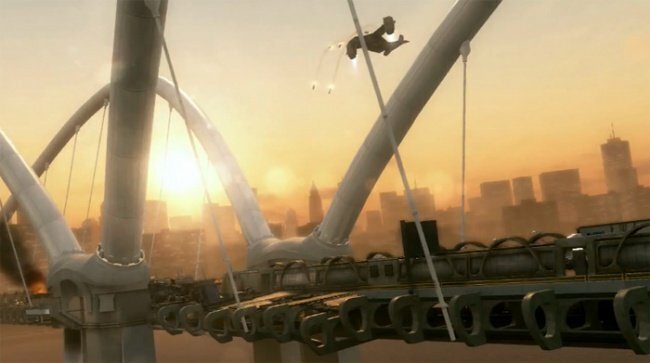 In Detour, the action takes place on a destroyed suspension bridge over an American waterway. This multi-level map features vehicle wreckages, broken support beams and other obstacles. 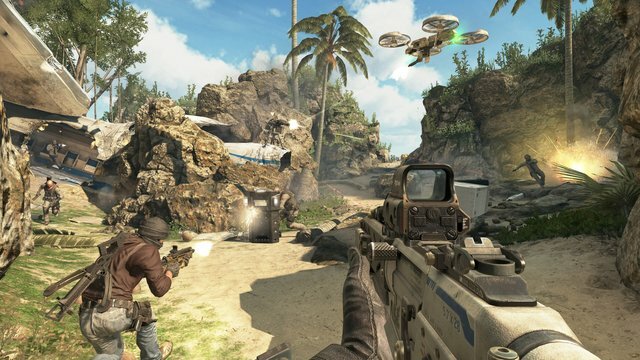 Uplink, a remake of the Black Ops map "Summit," brings players to a hi-tech facility deep within the jungles of Myanmar. 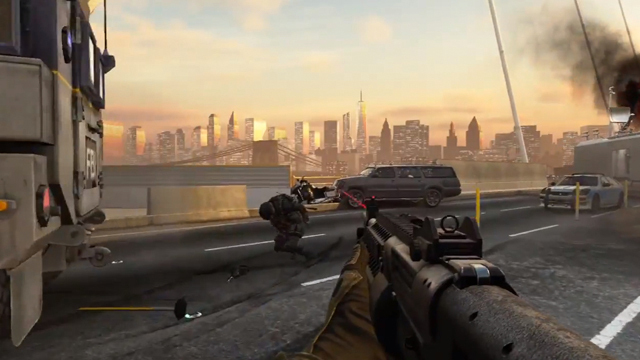 Each map supports all the standard player-versus-player modes. The zombie-slaying co-op mode will also receive new content. Treyarch will be including a map called Buried. 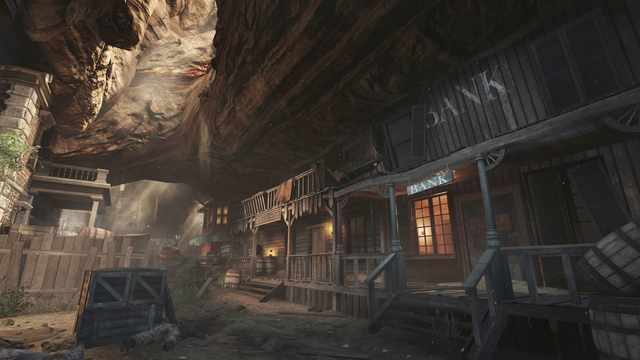 In Buried, the survivors of the mega-map Tranzit have uncovered an underground mining town. This remnant of the Wild West is isolated but that hasn't saved it from the zombie outbreak. The survivors will have to fight off hordes of undead cowboys as they attempt to make their escape. The Vengeance Map Pack will also throw in a new weapon called the Ray Gun Mark II. The Mark II, available in Buried and older zombie maps, is a Wonder Weapon with both power and a high rate of fire. You can see this weapon in action in the trailer for Buried. 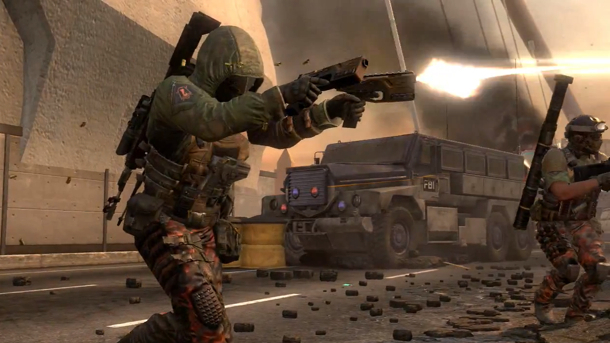 Vengeance is the third of four DLC packs coming to Black Ops 2. If you pay for the $50 Pass, you'll get Vengeance and the other add-ons. If you'd rather purchase map packs individually, they cost $15 apiece. Activision hasn't announced the fourth add-on for Black Ops 2 yet. However, based on the DLC released so far, though, it seems safe to assume that it will add four more competitive maps and one zombie map. It should arrive before Call of Duty: Ghosts's launch, so expect DLC4 in late summer or early fall.